I shaded and blended away, and remembered how much I love these pencils. I added in the Wonky Rectangle Die-Namincs and then a little heart and sentiment to finish off the card. Thanks so much for stopping by today! Hope you are having a great day! I stamped several sets of rainbow candles....because I can't stamp any other colored candles other than rainbow candles (haha! )....and then added them on to the different tags from the blueprints set. I added in the heart "flames" to the first tag and then the larger flames to the other tags. 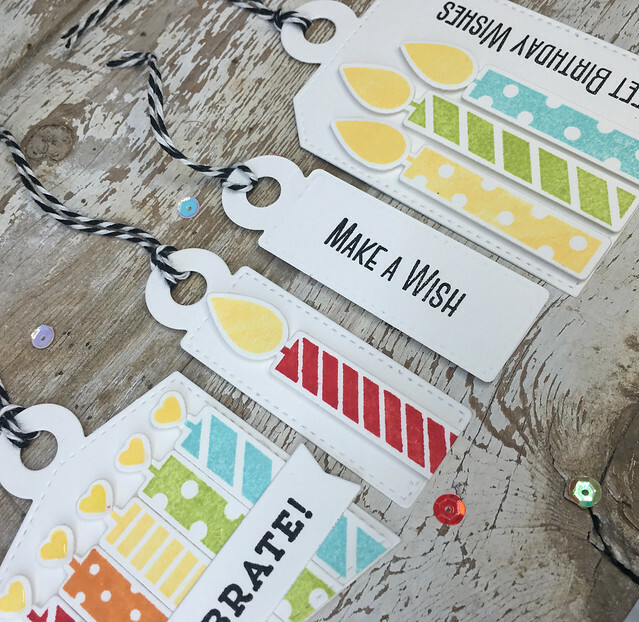 On the back of the single candle mini tags, I stamped "Make a Wish" from Celebrate with Cake, along with the "Sweet Birthday Wishes" on the larger tag. 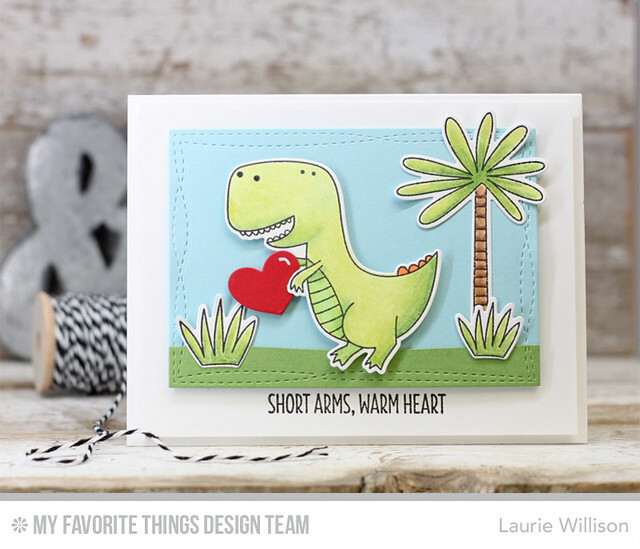 I love these stamps and dies because they can create a quick and simple tag. 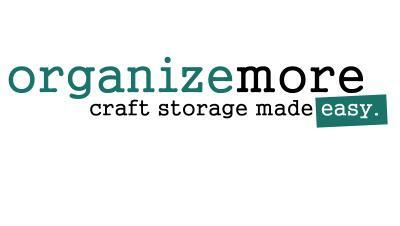 Head on over to the MFT blog to see more about today challenge. Thanks so much for stopping in today! 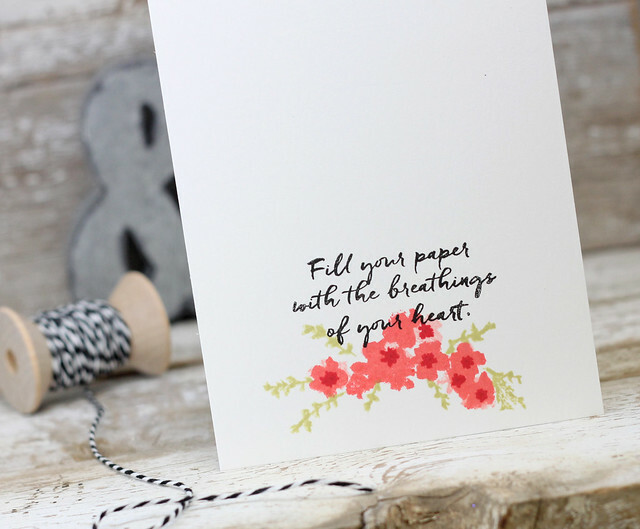 I saw this inspiration pic for the Papertrey Ink July Blog Hop and HAD to play along! I love these colors so much!! I wanted to add in every pattern and every color but I figured I could go overboard, so I chose the colors in the pillow, the embossed wallpaper and the rug. I incorporated a little of each in this card. I used PTI's Forget-Me-Not set for the flowers in Very Sorbet, Aqua Mist and Hawaiian Shores. I added in some Background Basics: Retro in Fresh Snow Ink on some Soft Stone card stock. Then I added in a little vellum from the new scalloped note card die cuts. 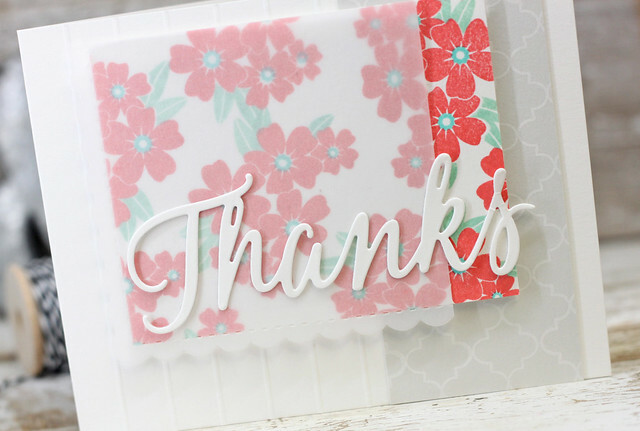 I added this all to a scored card base....because why not?....and then finished it all off with the Thanks die cut sentiment. I love being inspired by such a gorgeous photo. 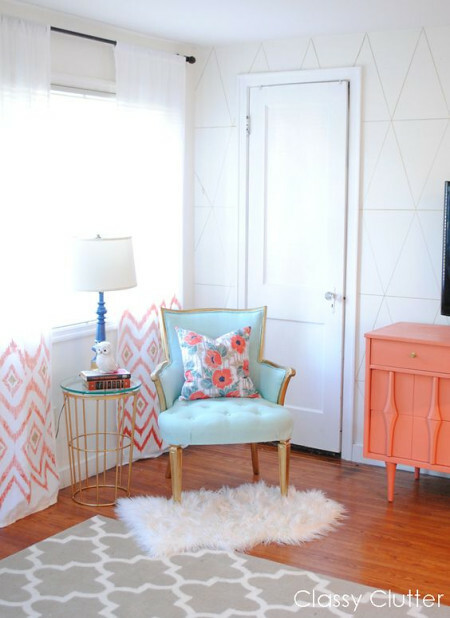 It makes me want to go search Pinterest right now and find more inspiration. Hope you are all having a great day! Thanks for stopping in! Van Goghs, Vase with Twelve Sunflowers, is the masterpiece I chose for this years Stamp-a-Faire. I was so inspired by the variation of colors that can be brought to life by many different mediums. I chose to use water colors to create a vibrant sky and then added water to the sunflower stamped images. 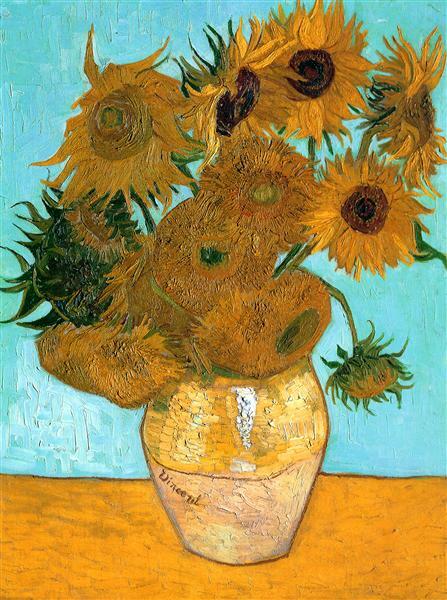 Sunflowers are prevalent here in Kansas and this was a major draw when choosing this masterpiece. 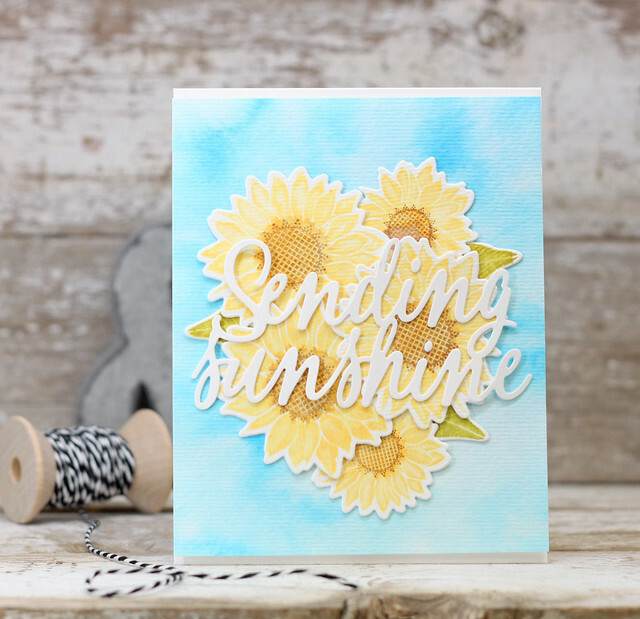 I love seeing the sunflower fields bloom every summer and I instantly thought of PTIs Simple Sunflower set to use for this project. First, I used my Peerless watercolors to create the background. 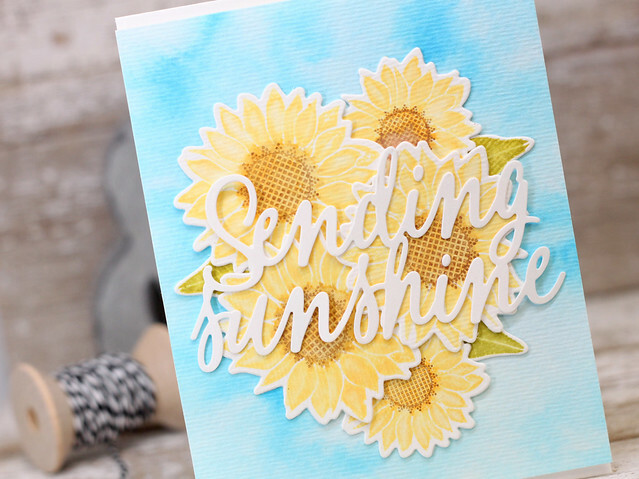 I die cut and stamped the sunflowers and then used a small paint brush and water to make the flowers look watercolored. Papertrey's ink reacts really well to water and I am so happy with how the flowers turned out. I did the same thing with the centers. I first stamped them in Orange Zest, then added in another layer of kraft ink and then last did a light layer with Dark Chocolate ink. I added in the leaves after brushing on a little water too. 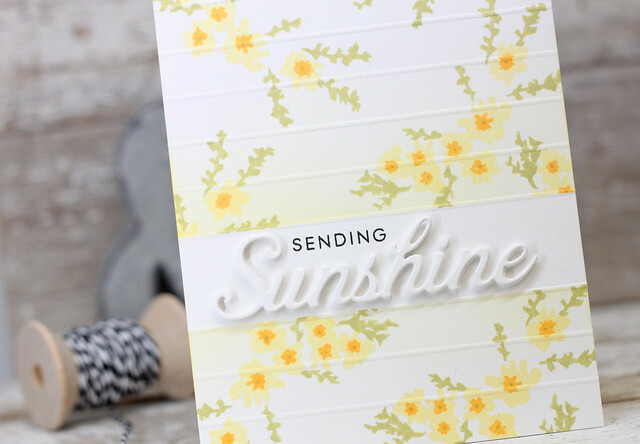 Last, I added in the sentiment, Sending Sunshine to finish off the card. I can't wait to see what the rest of the Design Team has for today. Lots of masterpiece inspired creations! 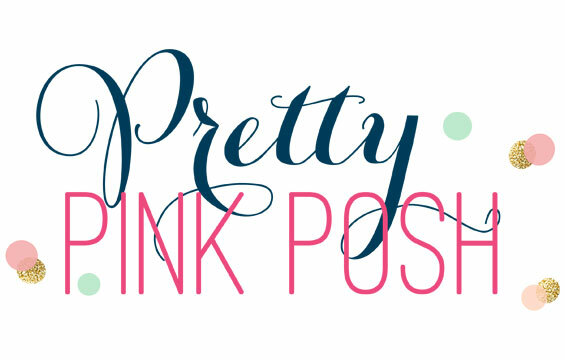 Head over to Nichole's blog to see a full list of stops. 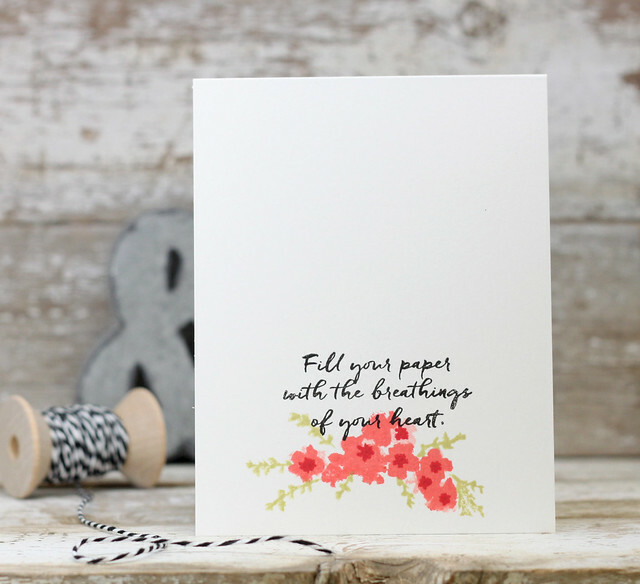 There will be lots of fun challenges tomorrow over at the Papertrey Ink Forum. Stop over there tomorrow and say hi, as all of us on the Design Team will be there to chat, as well. Thanks so much for stopping in today! Happy Stamp-A-Faire! 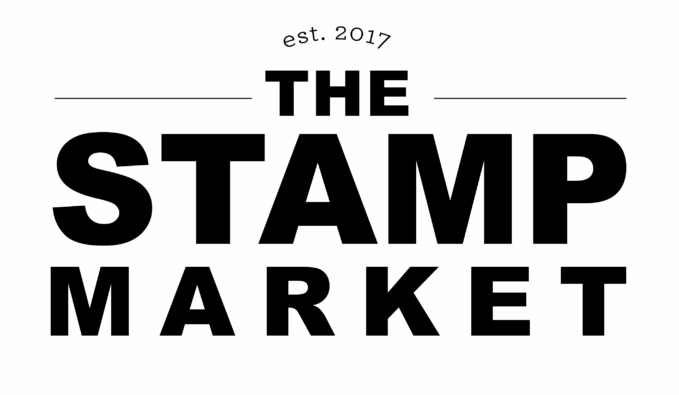 It is Stamp-A-Faire time over at Papertrey Ink. 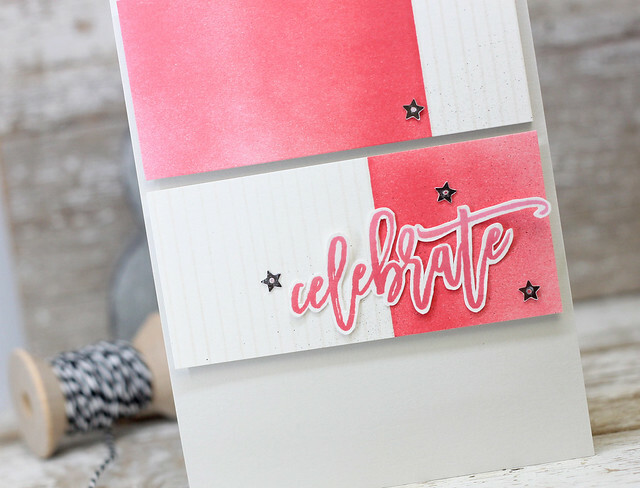 If you are new to Papertrey Ink, head on over to Nichole's blog to read all about Stamp-A-Faire and all that is happening over the next few days. You will see lots of inspiration, challenges and lots of fun to be had. 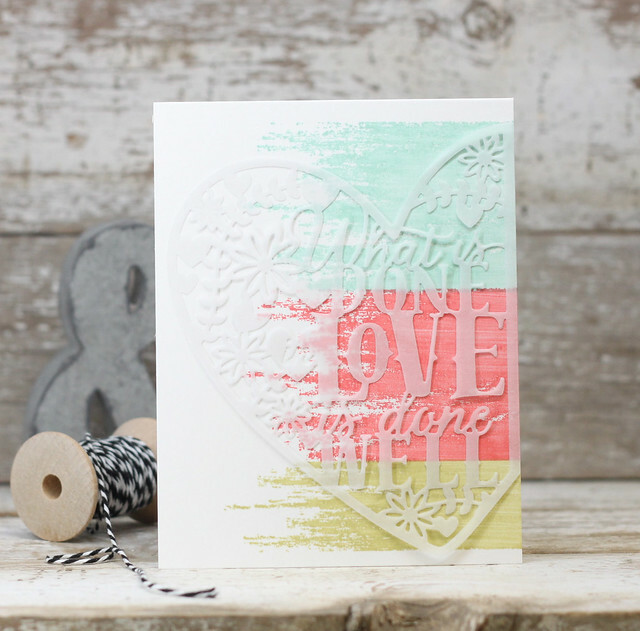 Today the Design Team is showcasing the new Stamp-A-Faire Free Exclusive Set. It is a gorgeous set with beautiful sentiments. 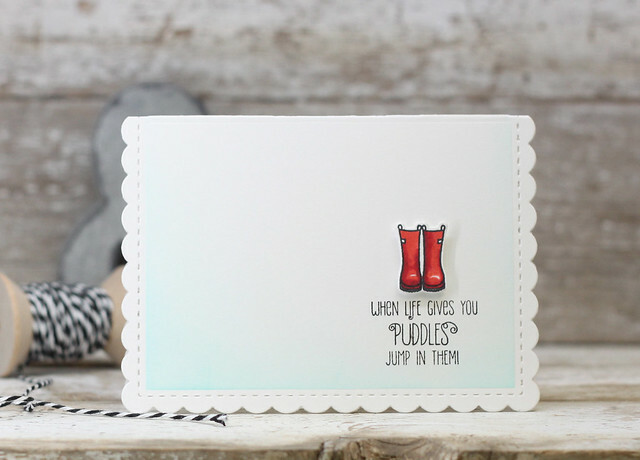 I have 2 cards created to share with you today. 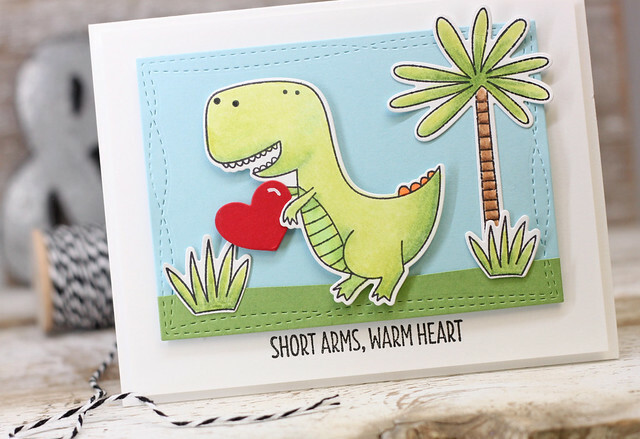 This first card was made using the new stamps to create a background. There is a 4 step flower, but here I used only 3 parts. I masked off an inch in the middle, added in the flowers and leaves and then did a little sponging so the masking would have a more pronounced affect. 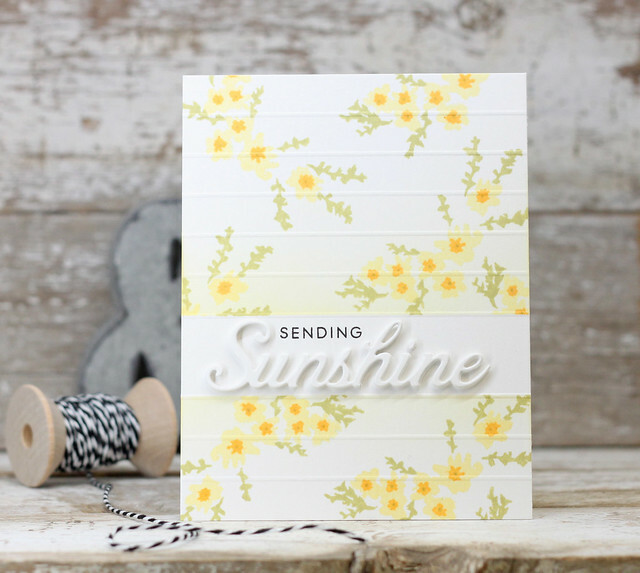 I did add a sentiment from the stamp set called Hello Sunshine, along with the Sunshine die (not included in the SAF set). 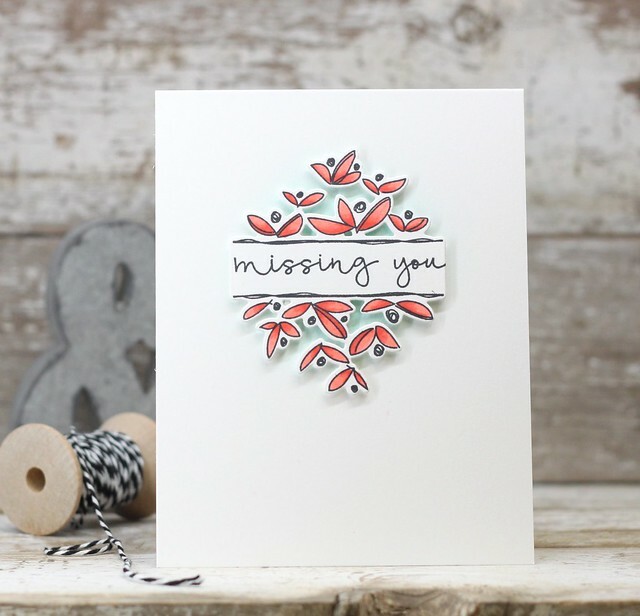 With the 4 step flower stamps, I stamped the smaller blooms in a lighter color in the background because I wanted the larger blooms to be more bold and to stand out. I added in centers and the leaves. They are so easy to line up. Last, I stamped a sentiment in black ink. Super easy! 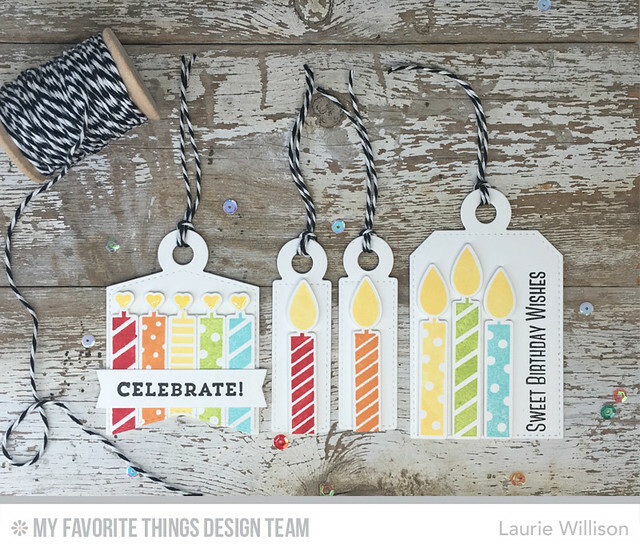 Head on over to Nichole's blog to see all the details on this exclusive set and to see the samples made by the rest of the team. Stay tuned for all the Stamp-A-Faire activities, tomorrow and Saturday! Hope to see you here tomorrow! Have a great day! 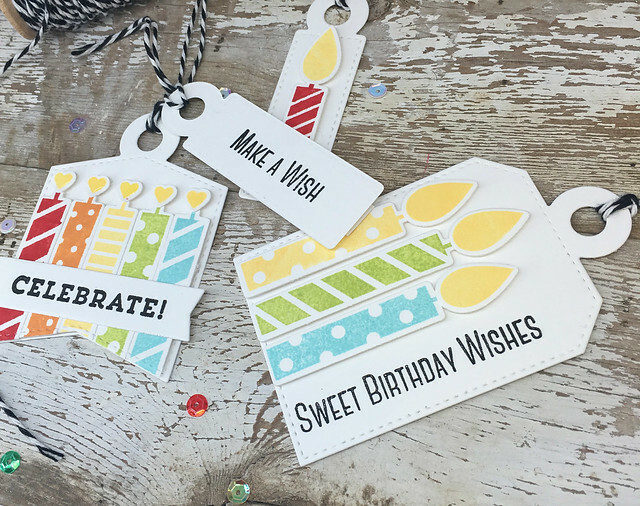 Happy first birthday to Right at Home stamps! 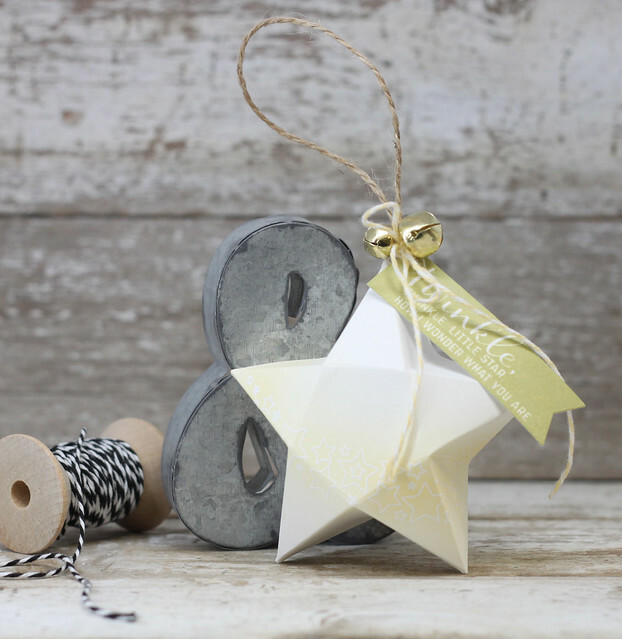 It's time for a blog hop! 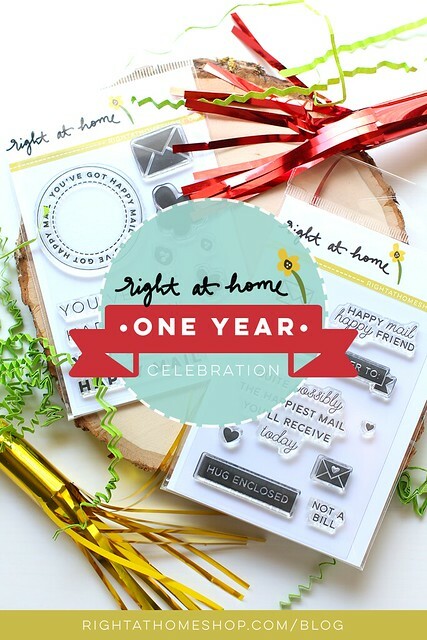 I am so happy to be joining in for Nicole's one year celebration for Right at Home. Her stamps are adorable and so much fun! I have a CAS card and envelope to share today using a couple of her sets. 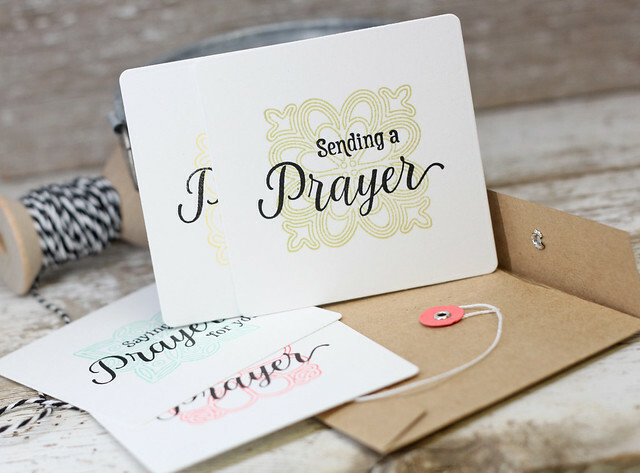 This card uses the banner line stamp from Banner Alphabet Add-On to create the lined background. Then I did some ink blending for a fun ombre look, along with some black copic misting. I decided to cut that panel in half and create a layer background. I added in an ombre sentiment (after seeing Kymona's adorable ombre sentiments on IG) and then did some fussy cutting. I added in some sliver star sequins to finish off the card. 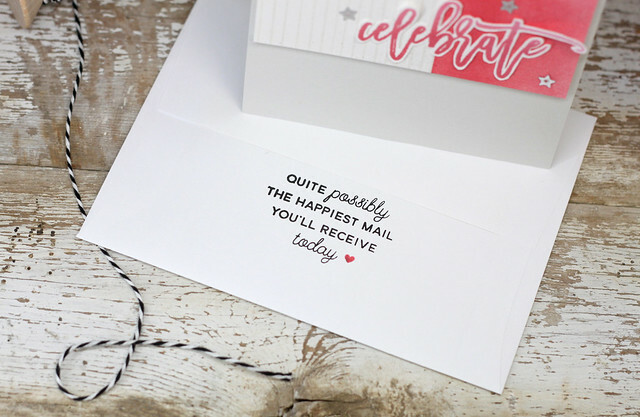 I needed a matching envelope so I stamped the back with this adorable sentiment from Right at Home's new set called Happy Mail Year 2. I also added in a matching pink heart to the back. 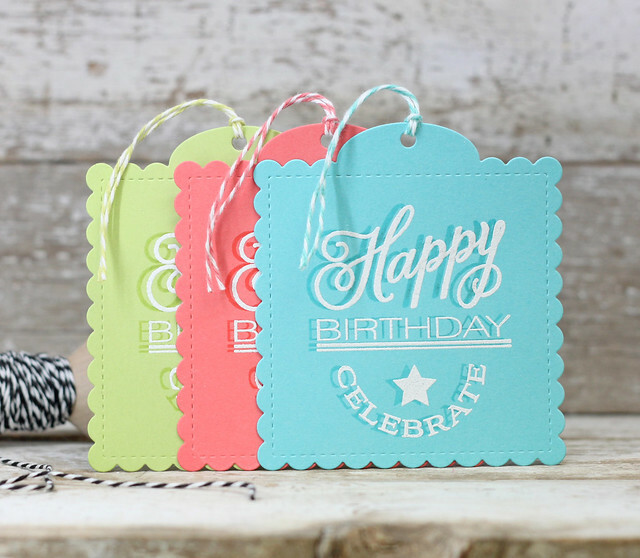 Head over to the Right at Home Birthday Blog Hop for a full lists of stops. Nicole also will have information on a link up so you can play along and info about a giveaway! 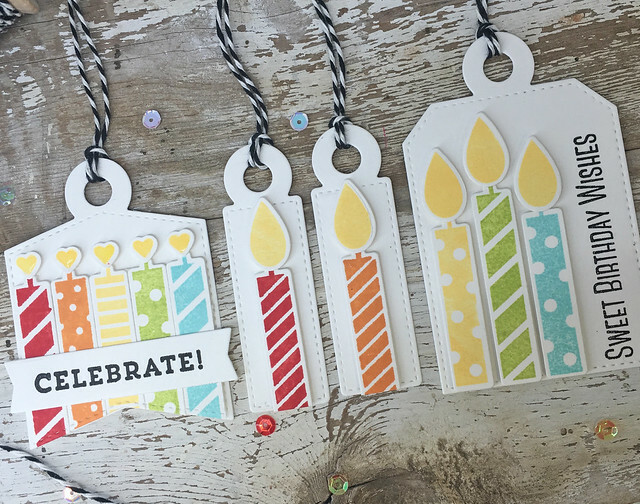 It's Release Day at Papertrey Ink and I have several more cards to share, showcasing the new stamps and dies that will be available tonight! That is it for today! I know the rest of the Design Team will have lots more to share. Head on over to Nichole's blog to see more! Thank you so much for coming by today and happy shopping!